Keep your 1911 or other .45 ACP pistol well-fed with this reliable range load from Sellier & Bellot. These cartridges follow traditional .45 Auto specs, firing a heavy 230 grain full metal jacket bullet at about 853 feet per second. 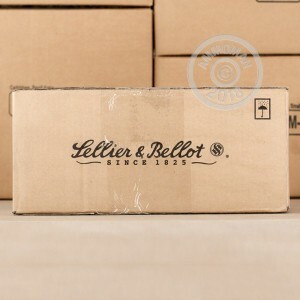 Sellier & Bellot (S&B) is a Czech ammunition manufacturer that has been in business since the early 19th century. 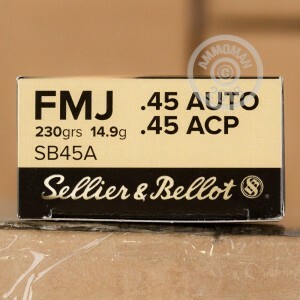 Their FMJ loads are always popular among American shooters due to their low cost and high quality. 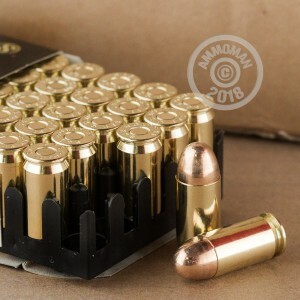 AmmoMan.com brings you the best ammo in decent quantities at a price you can afford. We're also sweetening the deal with free shipping for all orders over $99, so place yours today! Service was very fast,ammo on my doorstep in no time.great ammo.